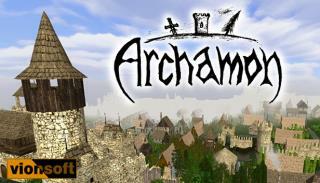 Archamon is a realtime creative/building/survival strategy game from medieval times. You are elected as a leader by your people and your mission is to find a place and build a home for your nation in Archamonia - a vast world of dark forests, mountains, rocks, wild animals, barbarian tribes and other nations with the same goal. This DEMO version can be unlocked by GameKey. Required DirectX 9.0c (June 2010), .NET Framework 2.0 or newer.